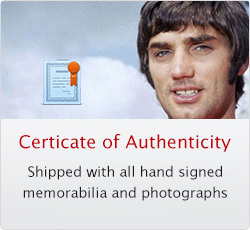 George Best signed Autobiography - Blessed. Brand New mint condition unread signed hardback copy of this best selling autobiography. Signed in black marker to the title page. Hardback version.